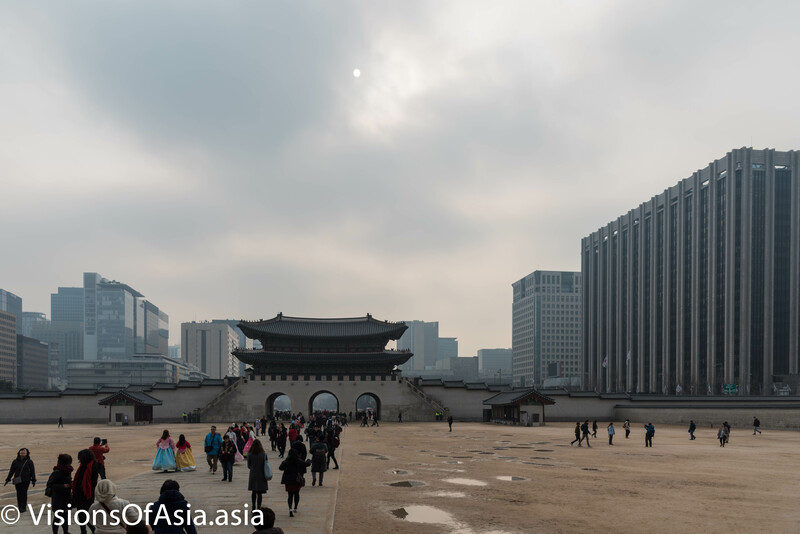 When in Seoul, an obligatory part of your visit as a first-timer, should be the traditional village of Bukchon Hanok and Gyeongbok, the old Korean Royal Palace. 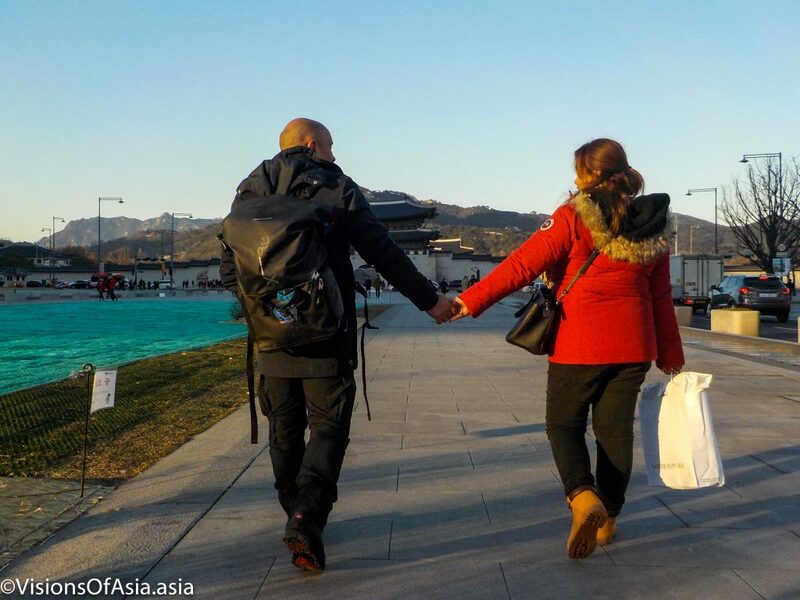 With the majestic background of the Bukhansan mountain, this palace is in a magnificent position. The Blue House, the presidential palace is also located in the same area, in what is considered as “auspicious” grounds. 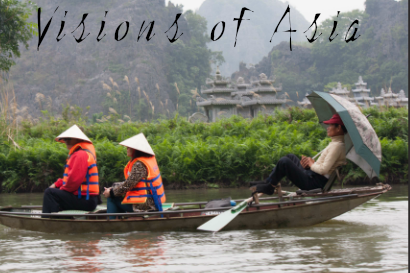 The position of the palaces is also favorable in Feng Shui terms (back to the mountain). Bukchon Hanok, by contrast is an area of Seoul which retained its traditional architecture houses and hence offers a glimpse into traditional Korea. 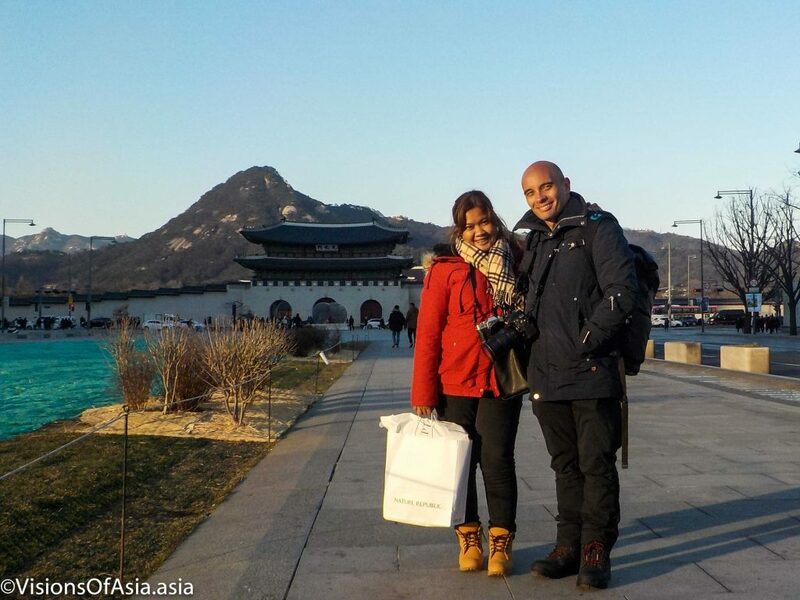 With its traditional buildings still inhabited by locals and by local businesses, Bukchon Hanok is a perfect location for selfies. Inhabitants are kind, welcoming and gentle and take a great care of their environment. 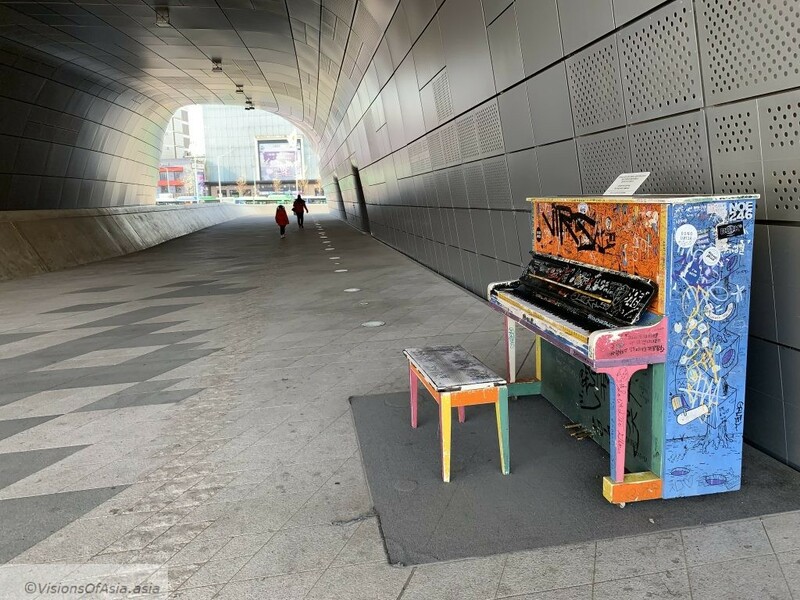 In fact, the area itself is absolutely lovely and can be the object of nice pictures across the board. 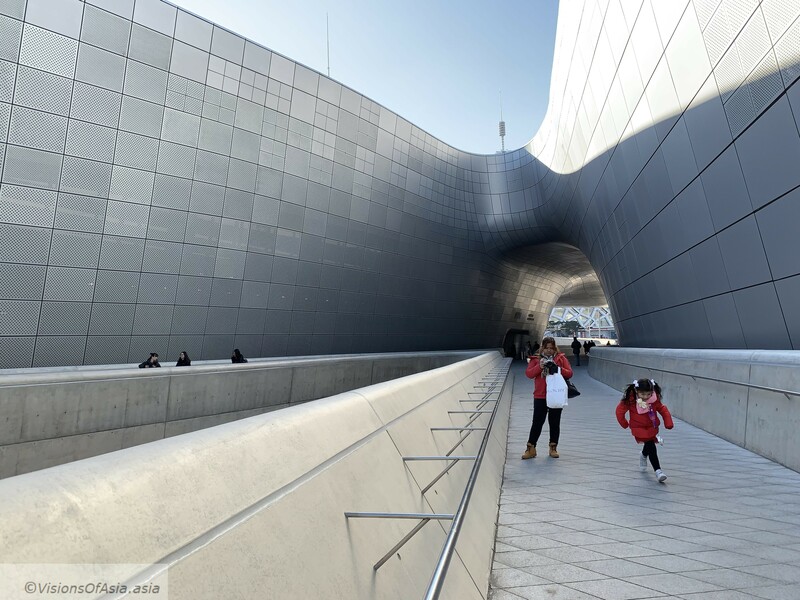 Riding the wave, a number of businesses rent out the Hanbok, the traditional Korean dress for tourists. 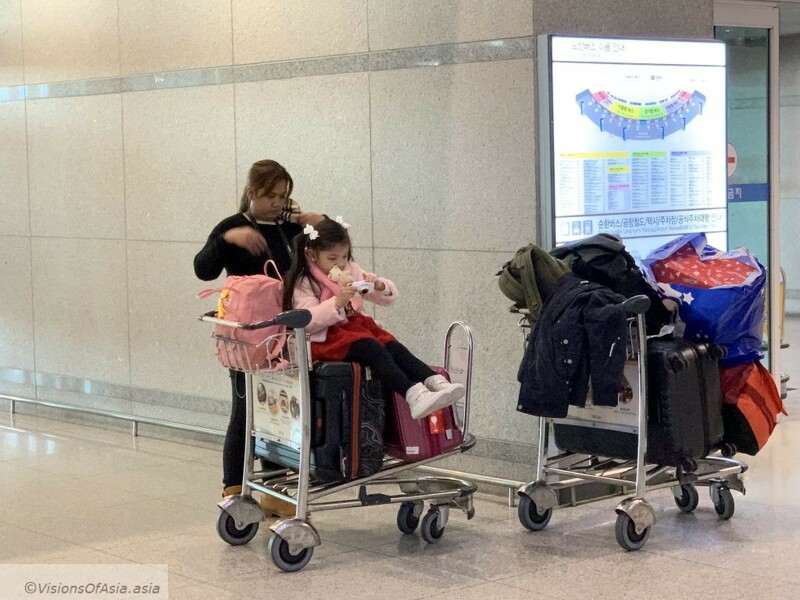 Obviously, it is only Asian tourists who give into this mania, Westerners would be far less credible… But still, some pretty Japanese girls love to dress up, a bit like foreigners do in Japan with kimonos. 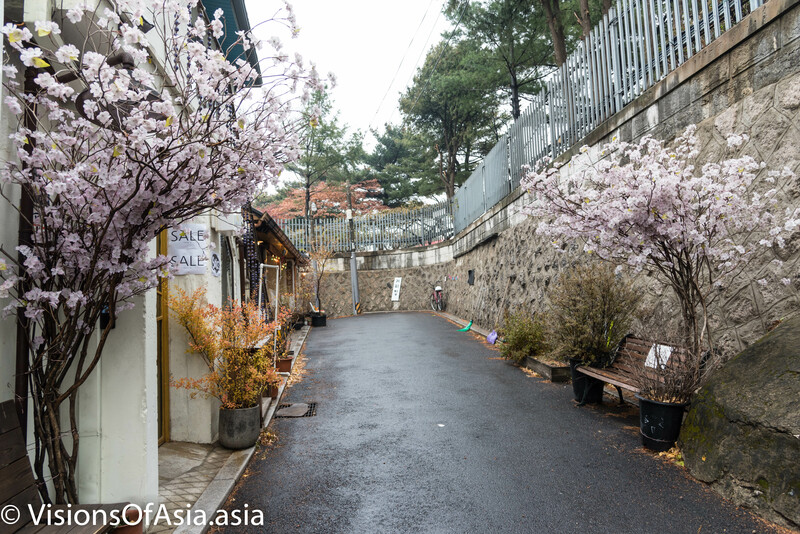 With its quiet areas and lovely settings, Bukchon Hanok is an ideal place for intemporal pictures. Some details betray the girls trying to play the game, though, like the shoes… Or posing next to a very modern plastic radish! On one end, Gyeongbok heads towards a gigantic avenue of Seoul, Saejong-daero where is located the US embassy. 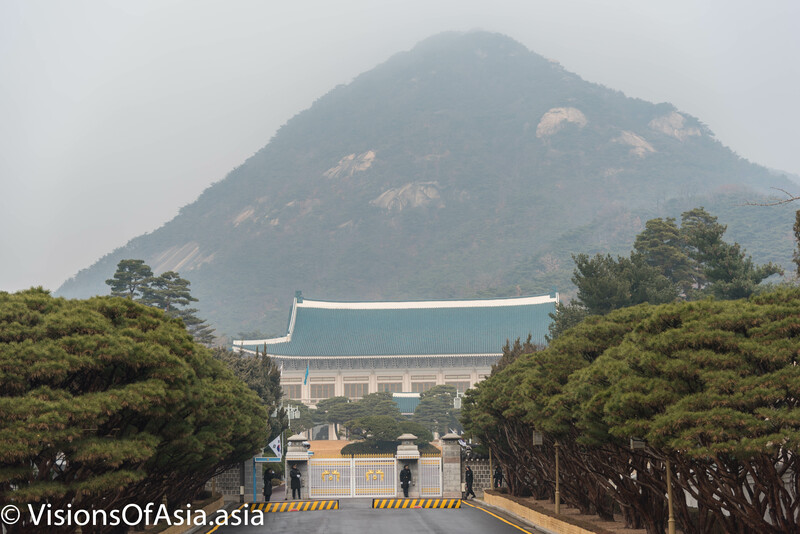 On the other end, it faces the Korean presidential palace, the famous “Blue House”. With its back to the Bukhasan mountain, the setting is quite majestic and throws back to the former royal palace built on the same area. The Korean “Blue House”, the presidential palace of the South Korean president. 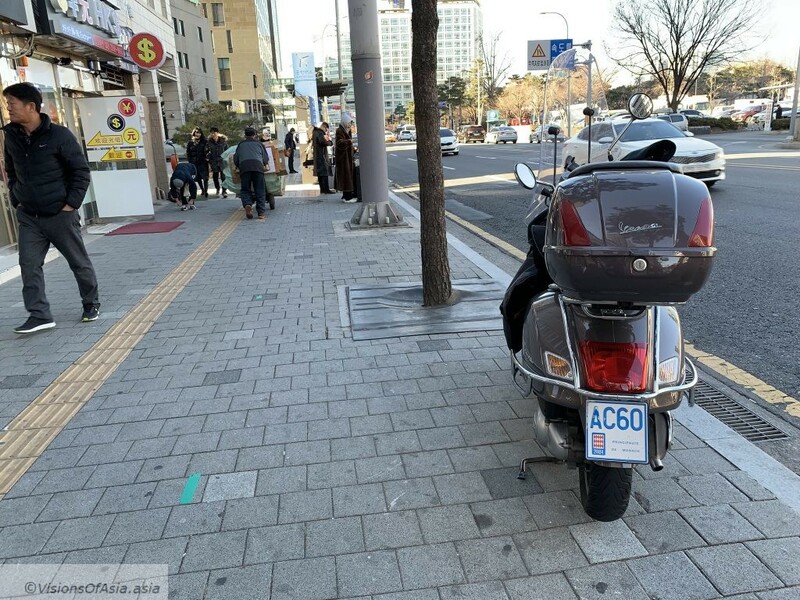 Of course, security is tight in that area, as back in 1968, North Korean agents had attempted to kill the Korean President by infiltrating commandos at the Blue House. However, the touristic nature of the area and the sheer beauty of the surroundings is absolutely not comparable to the tension that can be felt in France, for example. 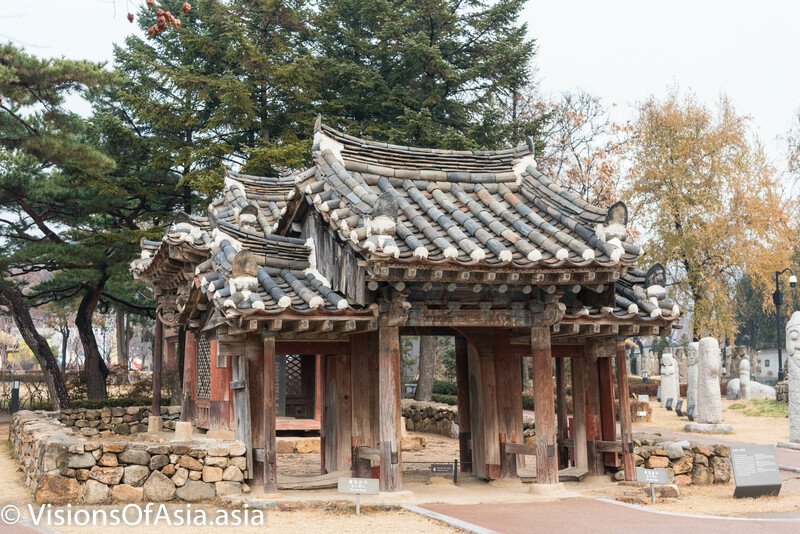 Gyeongbok was built originally in 1395, under the Joseon dynasty. Abandoned a first time in the 1500s, after a fire, it was rebuilt in the XIXth century. 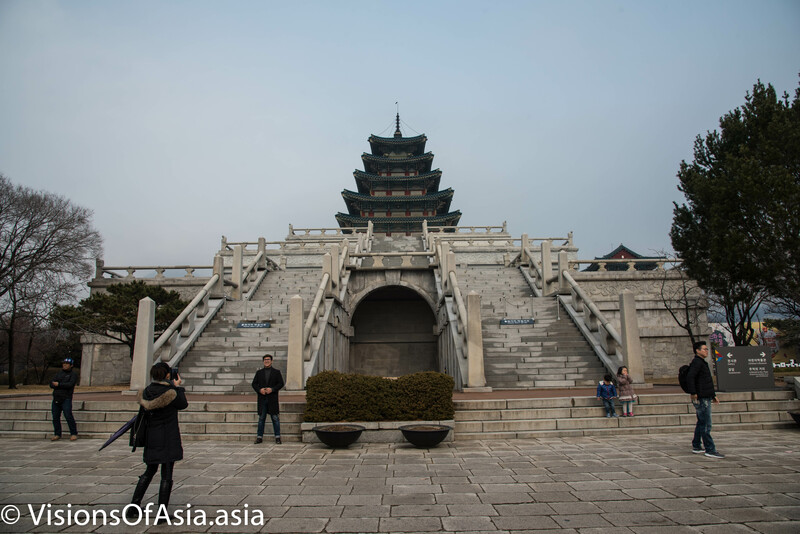 On that occasion, it drew its inspiration from the traditional Korean architecture used in the original palace. In the beginning of the XXth century, when the Japanese invaded Korea, they undertook the destruction of Gyeongbok, as it was a symbol of the independence of Korea. 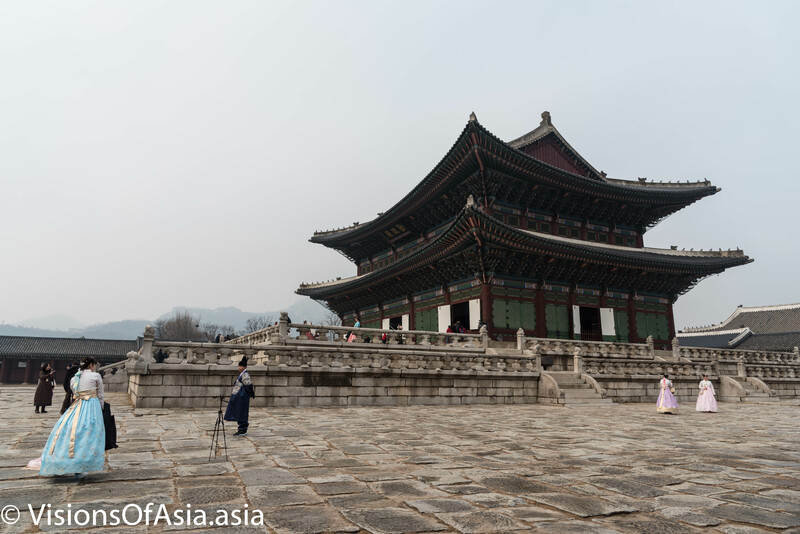 As a consequence, the current Gyeongbok is a reconstruction of the original palace from its ruins. Despite this sad fact, the reconstruction did a good job of showcasing the traditional Korean architecture that you can already glimpse in the Bukchon Hanok area. The gardens are very peaceful, despite the huge number of tourists. To the right, you can see the main 5-level pagoda before which many tourists have their picture taken. As you delve into the various alleys of the palace, you realize that the sprawling complex was almost a small city in its own. A whole area is devoted to the royal harem (and the paradox is that many female tourists love to have their picture taken there). 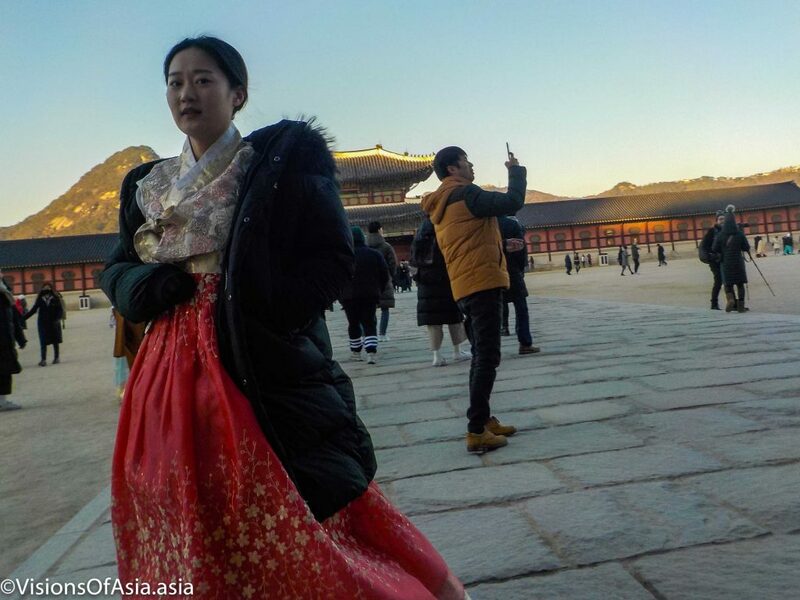 A young Asian tourist in Hanbok has her picture taken in the concubine area. The most interesting was to see the food storage area. Apparently, the builders of the palace used a natural slope to move food from the jars in the storage area to the palace itself. This complexity and the intricacy of the development give you a small hint of how developed the Koreans were in their golden age. The view around Gyeongbok is mostly free, especially towards the mountain. 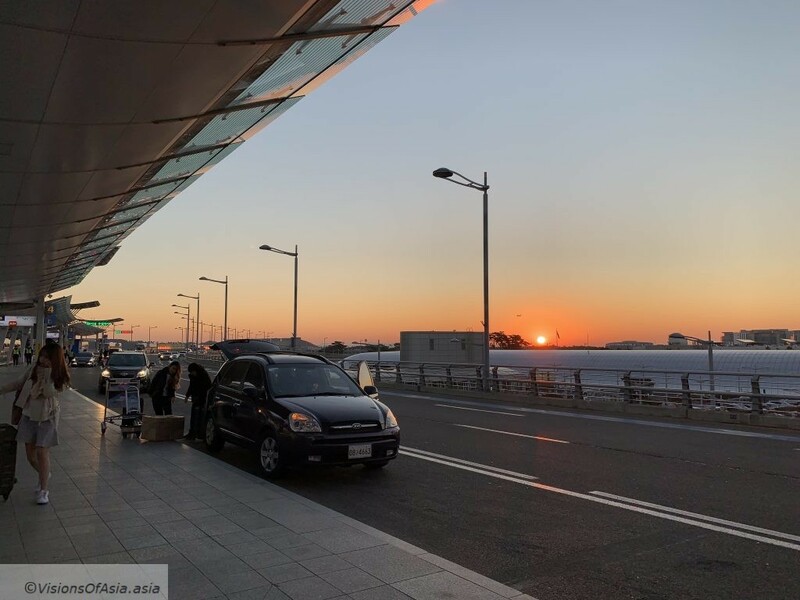 When you turn towards Saejong-daero, however, the nature of the view changes. 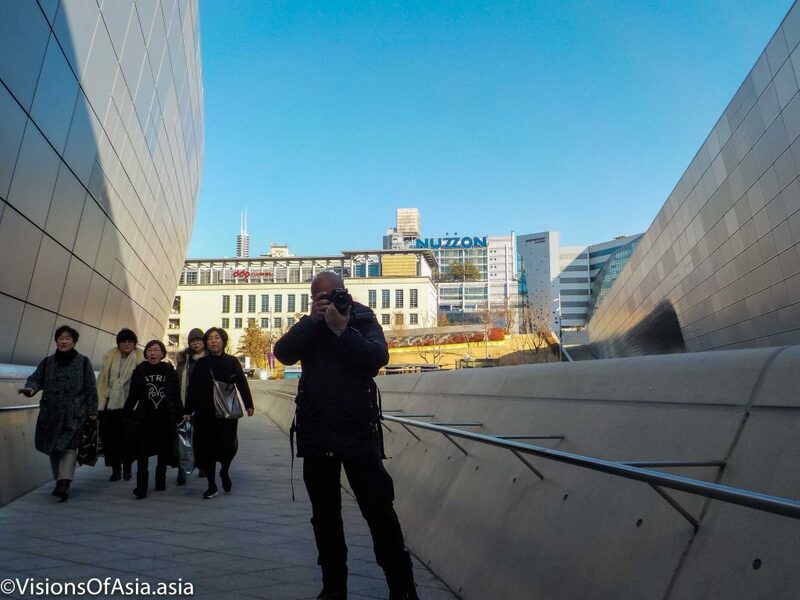 It is a moment where you realize that Korea is also a place where history and modernity are intimately linked. The modern buildings towering above the gates of Gyeongbok announce a return to the bustle of Seoul before you even set your foot outside. Another interesting shot on that side are the guards standing watch at the gate. However, the difficult part is managing to snap a shot without tourists standing by their side. 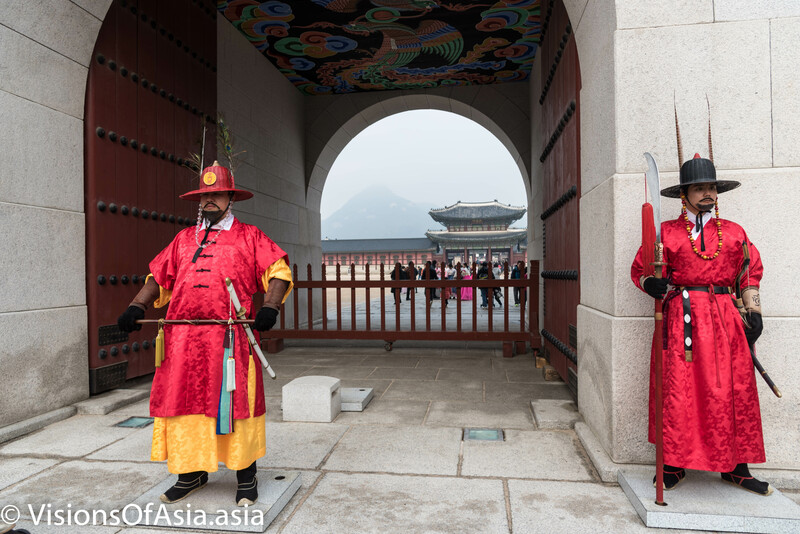 The guards of Gyeongbok are a must shoot with their traditional costume, if you manage to catch a moment without tourist by their side. When returning to modernity, I came across a memorial for the victims of the Saewol disaster, but I will talk about it in another post. When visiting the area Bukchon Hanok and Gyeongbok are easily combined. 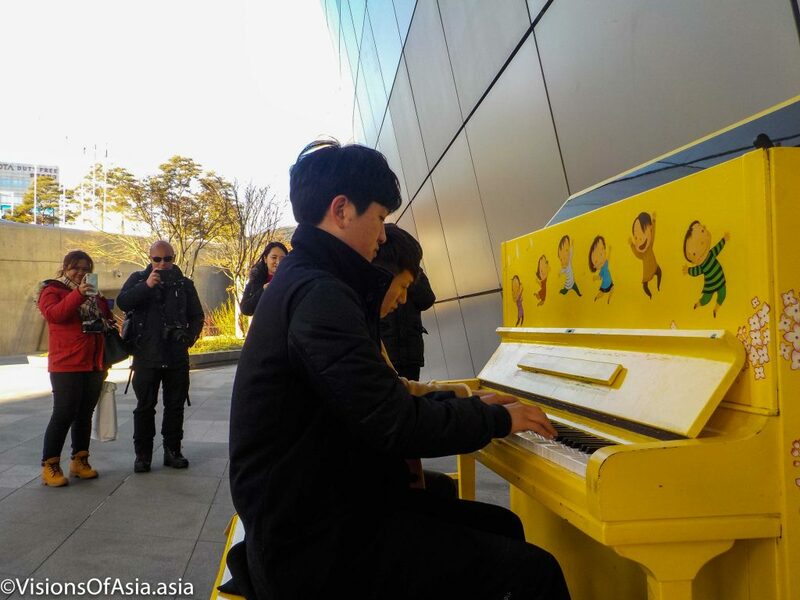 Most people start their tour through Gyeongbok as it is on the main Saejong-Daero avenue. My choice was rather to start walking through Bukchon Hanok, then moving to Gyeongbok. It is a lovely transition, especially if you go there in the morning. 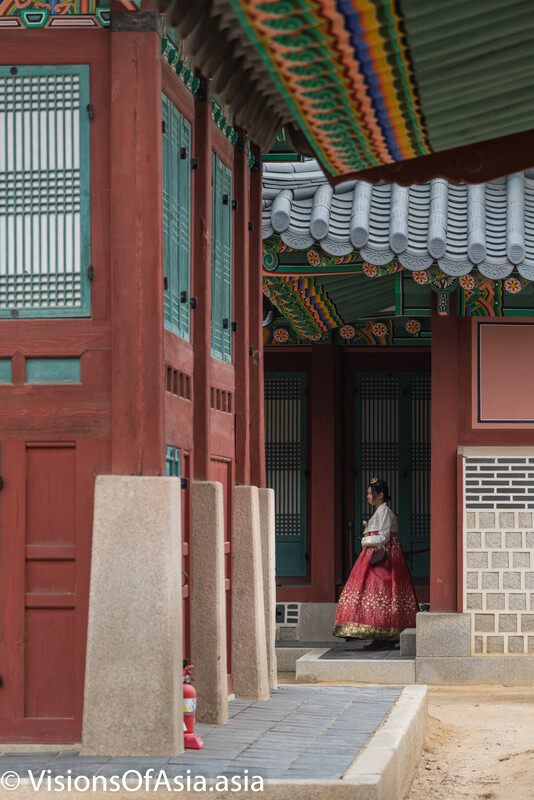 Indeed, I was fortunate enough to capture girls in Hanbok and relatively empty streets. 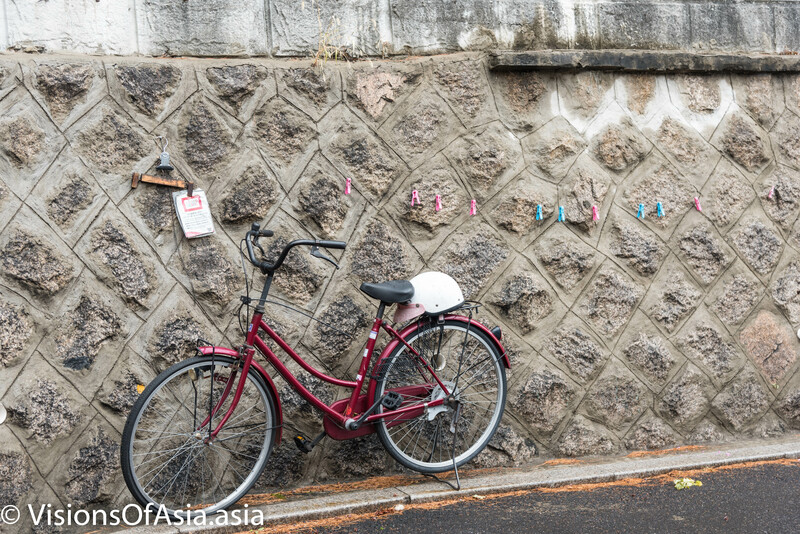 It is difficult to give instructions on how to get there, but there is no train station or bus stop within Bukchon Hanok, so it will always involve a short walk to get there.